I personally don’t like the new NavPaneSearch. 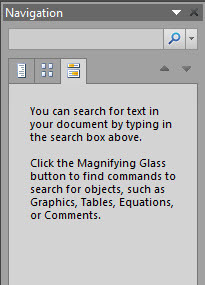 You can change the behavior of Ctrl-F to bring up the old ‘Find and Replace’ dialog box. f) On keyboard, press Ctrl key then the F key. ‘Ctrl+F’ now appears in the textbox. 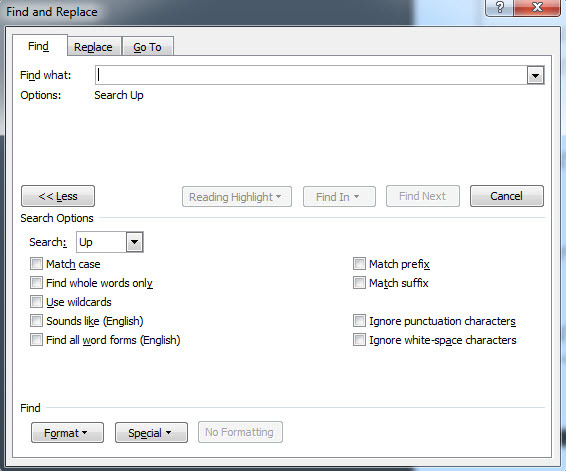 j) Press Ctrl key then the F key and you should now see the old ‘Find and Replace’ dialog box. First make sure you are able to view hidden and system files! In any open windows explorer window, press the [ALT] key to view the folder menu bar. Click on Tools menu, and select Folder Options. Remove the check mark from the Hide protected operating system files and click OK if prompt appears asking if you want to continue. Click on the OK button at the bottom of the Folder Options window. Open up “My Computer” and navigate to the “C:Windows” directory. Scroll down to the “Installer” folder. Right click the “Installer” folder and choose “Properties”. Click on the “Previous Versions” tab and wait for the list to populate with previous versions. In the box that pops up, tell it to copy to the “C:Windows” folder. If a warning pops up click on the “yes” box to Merge folders. If a refresh doesn’t work, reboot your computer. Your Icons Should be restored!